What Data Does Android Automatically Back Up? Android is unanimously one of the biggest smartphone platforms that has the biggest user base over the world. The reason behind this success lies beneath the fact that Android provides more ownership of smartphones than any other operating system does. Also, it takes care of the user privacy, security and data backup on its own. When it comes to data, Android is smart enough to back up a group of classified data. Google is usually one of the major phone backup methods that Android use, but it may vary upon your preference. 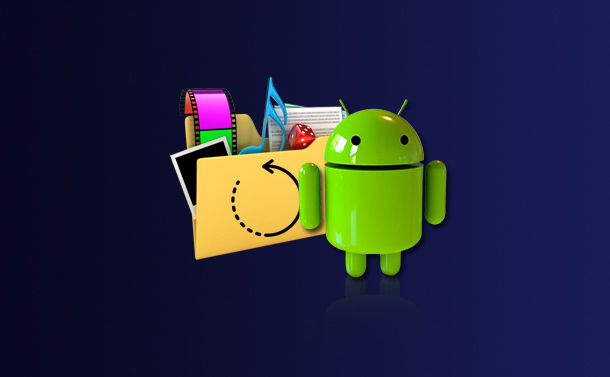 When you know what data Android backup does automatically, you may rest assured from your side. Let’s have a look on the data that Android backs up for you. What data does Android backup automatically? Contacts: The contact list on your Android gets synced with Google contacts. The Google contact are accessible through Gmail or the Google Contacts Page. The synced or backed up contacts also include Emails, Calendar events and Docs. System Settings: Your Android smartphone makes sure that you do less efforts wherever you go. To do so, it also backs up a few system settings like passwords for WiFi, display settings, brightness, timeout duration etc. Hangout chat logs: If you use Hangout to communicate with your friends, you may rest assured as Google syncs your Hangout chat logs. They are stored on your Gmail account, if you haven’t disabled chat logging in Gmail. Chrome browser data: Google makes sure that it syncs all the data of your internet browsing done one Chrome. It may include bookmarks, history etc. Photos: Your Android smartphone can also help you sync your photos when the phone backup is opted and if you’re using Google Photos app. However, it is important that you enable the auto sync feature before handed to get the backup done. Third party app data: There are many third-party apps that sync your data to web services often. If you are using a third-party app that has important data, make sure you’ve got it covered under auto sync. What data Android doesn’t backup automatically? SMS: Android never backs up SMS messages by default and requires you to either manually back it up or get a copy done somewhere. Google Authenticator: Google in your Android would never sync Authenticator codes due to security reasons. It is important that you get a printout of authentication codes to register a new device or use SMS to authorize further transactions. Bluetooth pairings and custom settings: Google does not back up Bluetooth pairing lists and a few settings like notifications. This way, you may have to repair all your Bluetooth devices with your phone. Now that you know what data does Android backup automatically and what it doesn’t, you can take appropriate steps. As Google takes care of most of the phone backup business in Android, it is not only reliable but also accessible remotely. However, you must ensure that you’ve got proper security measures applied for your Google credentials. If you wish to share some tips and tricks for Android, do let us know in the comments below.